Storage units actually come in several different sizes. The 360 Storage Center website actually offers six different sized units to choose from. This is a true case of one size does not fit all when it comes to storage. Different individuals and businesses have different needs when it comes to the size of unit that they will need. 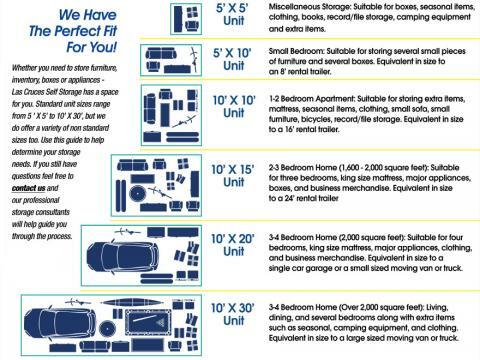 Let’s take a look at the difference between Fremont self storage unit sizes. This is the smallest of the storage units. This would be perfect for someone that has a few smaller items to store. Perhaps you have a few boxes of tax returns you want to hold on too but don’t really need them stored in your home or personal office. You can store small to medium boxes or a variety of small items. To decide if this is the right size for you it is a good idea to start to put the amount of items you want to store together and see if that will be big enough. If not you can always rent a larger space. For those whom need just a tad more height for their small items, then this size would be adequate. Perhaps extra lumber, a cat tree, tall but slender lamps, or even large fake plants. If you are looking to sell your home you may may want to store some of your items in the meantime. This size units can actually hold two bedrooms or a family room. This is a great option for someone that has quite a few items to store. With five more feet of additional storage space you can hold approximately three large bedrooms and large boxes. One of the most common Fremont self storage unit sizes rented by those remodeling or transitioning. Have a few rooms that need to be stored but not an entire house? This particular size would be a great option then for you. This a nice sized unit that could hold a large amount of items. If you have a large collection that you need to store this would be a great size to consider. The big guy. If you need to an entire house of furniture this would be the perfect size. Perhaps you’re leaving on a long trip around the world and will be moving into a new place when you return. Store all of your belongings in one place and enjoy them when you get back.